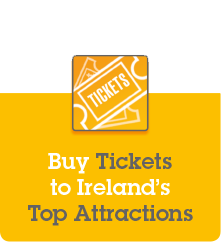 EnjoyIreland.info offers a selection of brochures from a wide range of Ireland's tourism operators. As you browse through the selection, you can request brochures that you want mailed to you so you can plan your holiday in greater detail. If you require the information here and now, you can simply select the download option for the brochure where available. If you are a member of the tourism trade and operate an outlet where you wish to make information available to your touring guests, you can use EnjoyIreland.info to order quantities of brochures. Please note that as this service is a free of charge service not all requests may be handled, or in some cases not handled in their entirety. See our terms and conditions for full information.